A special lunch at the Salone del Gusto! In that cauldron that is the Salone del Gusto over the weekend, I found my island of calm in a locus amoenus recreated in the “Province of Alessandria”. 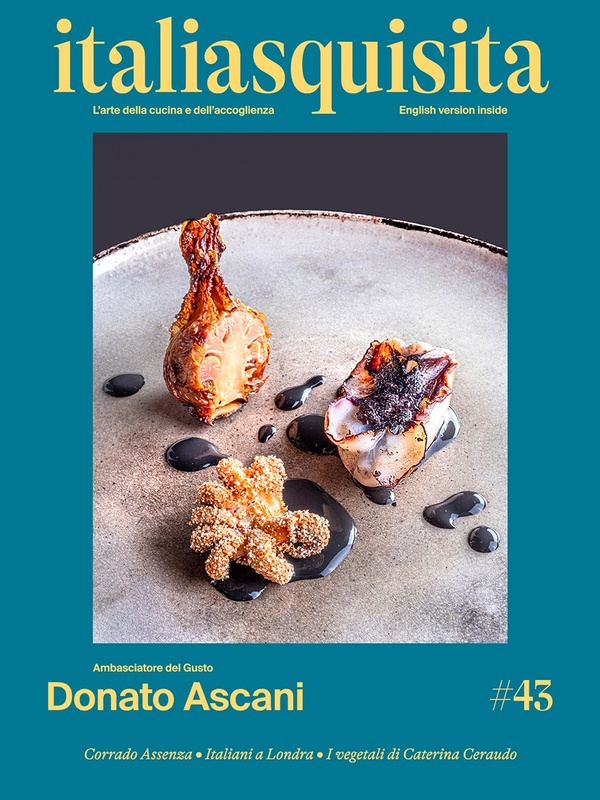 Already, in the pavilion, among others, to the Piedmont, the Province of Alessandria has carved a special place where to move the restaurant La Fermata (www.lafermata-al.it), the chef Andrea Ribaldone and his brigade. Throughout the duration of the show, Ribaldone performed a cooking show, preparing and explaining fantastic dishes for special lunches and dinners for experts and gourmets, in a fully equipped kitchen provided by Scholtés. A meal of haute cuisine with products from the territory of Alessandria, which take shape under the hands of the perky chef from La Fermata, Alexandria. A succession of dishes - culinary philosophy derived from Andrea - which combine the duality near/far, our/exotic, traditional/experimental. It opens with a slice of bread and salami Nobile di Giarolo, to move immediately to a starter that exerts the inherent fusion in the cuisine of the chef: "The ham cut by knife and curd of sheep”, a tartar of beef with herbs of the area, but seasoned with Sancho pepper and plum vinegar from Japan. To continue, every course is a performance of the quality of products of the Alessandria and from Tortonesi, from the mountain Quarantina potato, to the beet of the area, from the Fassone veal to the Carla apple bred. Exciting the main course and dessert: the “Grilled Tongue of Fassone veal”, soft and juicy, and the "Compote of local fruits and vegetables”, moistened in the syrup and accompanied by the sorbet grapes, a combination of contrasting sensations, sweet/sour and liquid/crisp. The entire run of the elements of the tasting menu was accompanied by excellent wines, described to us by the sommelier of the restaurant: Gavi Spumante 2008 – La Chiara (Marengo D’Oro); Monferrato Chiaretto – Vicara; Dolcetto d’Ovada – Lunaroli (Marengo D’Oro); Moscato d’Asti 2009 – Vigne Regali (Marengo D’Oro). With thoughts fixed on the main course, I get out of the suave atmosphere to sling back in the chaotic flow of visitors of the intricate and interesting Salone del Gusto!